Travel photos from the Plaza de España in Seville – still sunny even in the winter! And then I was in Spain… Starting my year with my 2014 goal of learning Spanish. Why, where and what for! 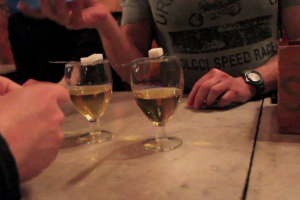 A night out drinking absinthe in Barcelona at the legendary Bar Marsella – where Hemingway, Picasso, Gaudi and Dali used to get their drink on.